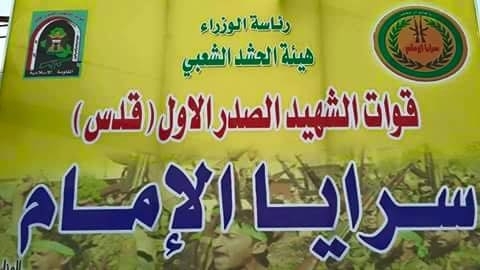 "Prime Minister Office: Hashd Sha'abi Committee. First Martyr Sadr Forces. Saraya al-Imam."